PennsylvAsia: Taiwanese musicians "A Moving Sound" at Seton Hill University, October 10. Taiwanese musicians "A Moving Sound" at Seton Hill University, October 10.
brings the sounds of traditional Taiwanese, Chinese and neighboring Asian traditions into modern times with skillful compositions that open new passageways for east-west cultural dialogue. 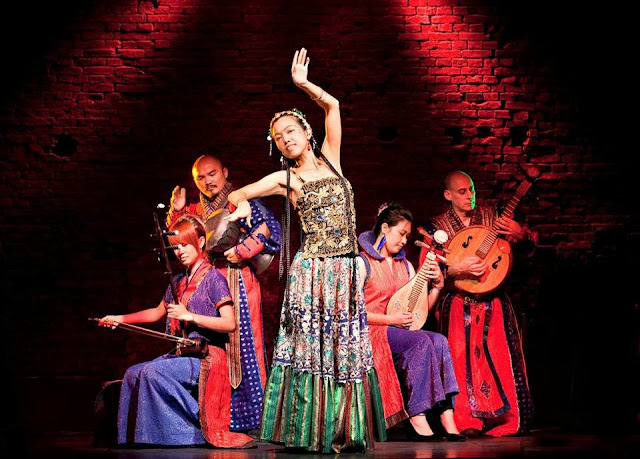 Accompanied by the sound of traditional instruments such as the Chinese erhu, zhong-ruan, and Chinese percussion, the sublime singer and dancer Mia Hsieh leads a powerful ensemble on ethereal journeys that are enchanting audiences and critics across five continents. All descriptions of the band plagiarize each other, so it's more informative to watch their performance videos on their YouTube channel. The show begins at 8:00 pm and is held in the Carol Reichgut Concert Hall in the Performing Arts Center at 100 Harrison Ave. (map). Tickets are $10 for Seton Hill students, $20 for the general public, and are available online.